Following the disastrous local election results for President Hollande, he has sacked his cabinet and installed a Spanish born Prime Minister who has sworn to shake up and turn around the French economy. This positivity combined with the glorious Spring sunshine has created a sudden air of optimism in France and this seems to have already trickled down to the property market which is now ‘on the move’ according to the majority of agents and notaires who I work with here. In fact, despite the fact that the economy in France is still performing poorly, the number of prime properties being sold is now growing according to the latest figures that have been released by Knight Frank which shows that sales are slowly starting to climb out of the doldrums. Its report stated that the number of people applying to buy prime properties in some of the most popular areas of France is up by as much as 28 per cent. 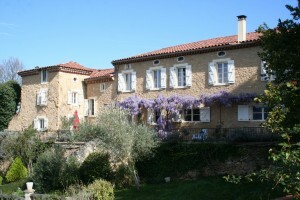 Meanwhile, the volume of viewings being carried out on prime French homes is up by 52 per cent. Demand depends on two factors apparently – ‘pricing and the area in which the homes are situated’ (aka location, so nothing new there). Many of the people investing in the prime French market are those who have come from overseas looking for second homes – largely because pound and dollar investors can now get more for their money against the weaker euro which has spurred the level of demand in the last few months. The arrival of Spring has also brought some interesting new properties onto the market, most of which appear to have been priced to sell – and selling they are. It appears that we suddenly have that perfect mix of market factors for any potential buyer; very low interest rates, reasonably and fairly priced property, realistic sellers prepared to negotiate and some very nice properties available for sale. I am now having to move fast for clients to ensure that I view before or as soon as a property comes on the market and I am having to view an increasing number of properties before being able to narrow down to those good enough for a short-list.